A Pulitzer Prize winning, #1 New York Times bestseller, Angela s Ashes is Frank McCourt s masterful memoir of his childhood in Ireland. When I look back on my childhood I wonder how I managed to survive at all. It was, of course, a miserable childhood: the happy childhood is hardly worth your while. Worse than the ordinary miserable childhood is the miserable Irish childhood, and worse yet is the miserable Irish Catholic childhood. So begins the luminous memoir of Frank McCourt, born in Depression-era Brooklyn to recent Irish immigrants and raised in the slums of Limerick, Ireland. Frank s mother, Angela, has no money to feed the children since Frank s father, Malachy, rarely works, and when he does he drinks his wages. Yet Malachy exasperating, irresponsible, and beguiling does nurture in Frank an appetite for the one thing he can provide: a story. Frank lives for his father s tales of Cuchulain, who saved Ireland, and of the Angel on the Seventh Step, who brings his mother babies. Perhaps it is story that accounts for Frank s survival. Wearing rags for diapers, begging a pig s head for Christmas dinner and gathering coal from the roadside to light a fire, Frank endures poverty, near-starvation and the casual cruelty of relatives and neighbors yet lives to tell his tale with eloquence, exuberance, and remarkable forgiveness. 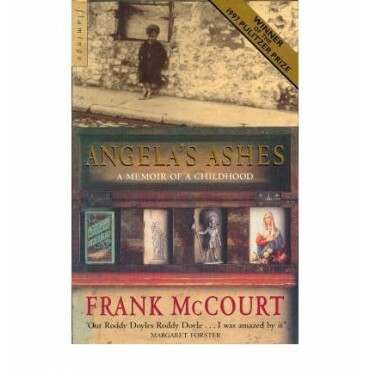 Angela s Ashes, imbued on every page with Frank McCourt s astounding humor and compassion, is a glorious book that bears all the marks of a classic."